To stay fit and look radiant as we age is something we all wish for. In Germany, life expectancy is rising from year to year. It is currently 78 years for men, while women live five years longer on average. Preventive healthcare plays an ever more important role here. Health-conscious lifestyles and the desire to do something beneficial for our bodies are fueling continuous nutritional-supplement market growth. “People of all ages are more and more concerned with preventing illness in the long term,” says Rachela Mohr, who is responsible for the development of biologically active ingredients at WACKER. The focus is on plant-based functional ingredients that have a positive effect on coronary health, immune response and cholesterol levels, for example. The latter has already been proven by a substance that is naturally found in olives: hydroxytyrosol. WACKER synthesizes this substance in a patented process under the trade name HTEssence®. “A human clinical study recently confirmed that our nature-identical product lowers the ‘bad’ cholesterol LDL by 8 percent. This, in turn, can reduce the risk of heart disease,” explains Mohr. Conventional extraction of hydroxytyrosol from olives and olive leaves is complex and the extract only contains a low percentage of the natural product. WACKER’s process yields hydroxytyrosol with a purity of up to 98 percent. “We can produce it on a large scale, ensuring consistent quality and meeting precise specifications – regardless of factors such as climatic conditions that affect olive cultivation,” emphasizes Mohr. 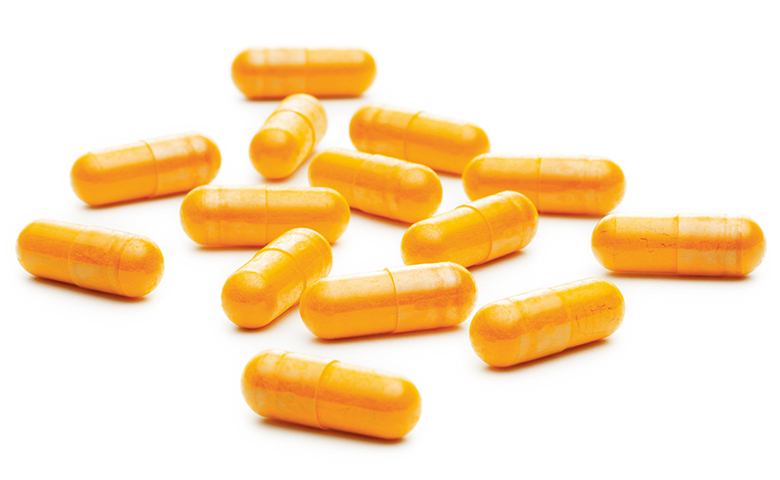 While hydroxytyrosol is soluble in water and readily absorbed by the body, health promoters such as curcumin extracted from turmeric are not – their drawback is low bioavailability. “To improve this, we use a trick and form complexes of the curcumin extracts with our cyclodextrins,” explains Mohr. CAVACURMIN® in the form of capsules.